DYNAMIK’s partners, Basketball England, originally set up an U12 league with FIBA Funding last season for school children under the age of 12, as there was a need to add a tier due to the youngest age group (U14) catering only for Y7, Y8 and Y9 students. In order to bridge the gap and try to get secondary schools involved from an earlier age, they trialled a new format and added this new age group. Basketball England hope to raise the profile of this popular sport and give the players a good experience in basketball at the National Basketball Performance Centre in Manchester. With this in mind DYNAMIK are pleased to support these young players by donating t-shirts for every player who takes part in the U12 Schools Celebration Day this May. 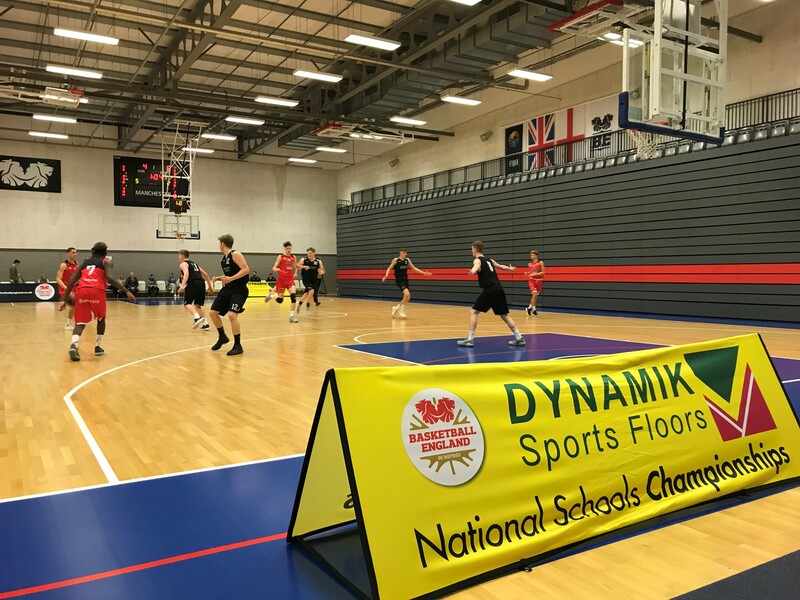 As Official Sports Flooring Supplier DYNAMIK has contributed to grass roots sport in terms of gifting sports equipment to local schools and basketball clubs as well as being headline sponsors of the National Schools Basketball Championships, donating winners t-shirts, medals and plaques.